Founded in 1932, the club have played at the DW Stadium since 1999, before which they played at Springfield Park. Their colours are blue and white stripes, although all-blue shirts have been common throughout the club’s history. 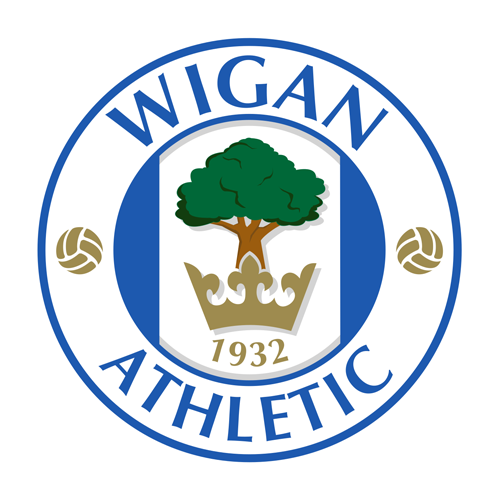 Wigan Athletic started its activity in 1932, which is relatively late for an English football club. Other local clubs such as; Wigan County, Wigan Town, Wigan United and Wigan Borough existed for a while. Wigan Athletic FC have also had legends such as; Chris Kirkland, Jimmy Bullard and Emile Heskey, with their top goalscorer being Hugo Rodellega.